November 2, 2015 By Aileen 1 Comment This post contains affiliate links. As an Amazon Associate and member of other affiliate programs, I earn from qualifying purchases. You guys, this cheesy garlic bread is SO good! I had been experimenting with making my own garlic bread since I started making homemade french bread and have had some serious failures. This one is a winner! I start with softened cream cheese mixed with softened butter. I whip it up a little bit with a fork until it’s smooth and a little bit fluffy. Then, I mix in minced garlic (of course!). 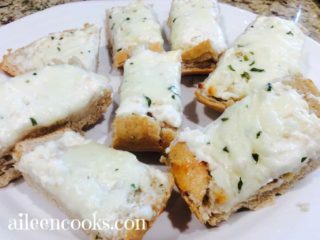 I spread the cream cheese-butter-garlic mix onto a loaf of french bread and top it with grated mozzarella cheese and dried parsley. I sprinkle a bit of salt on top of all of the cheesy goodness and bake it in the oven for 15 minutes – until the cheese is melted and the edges of the bread are golden. That’s it. 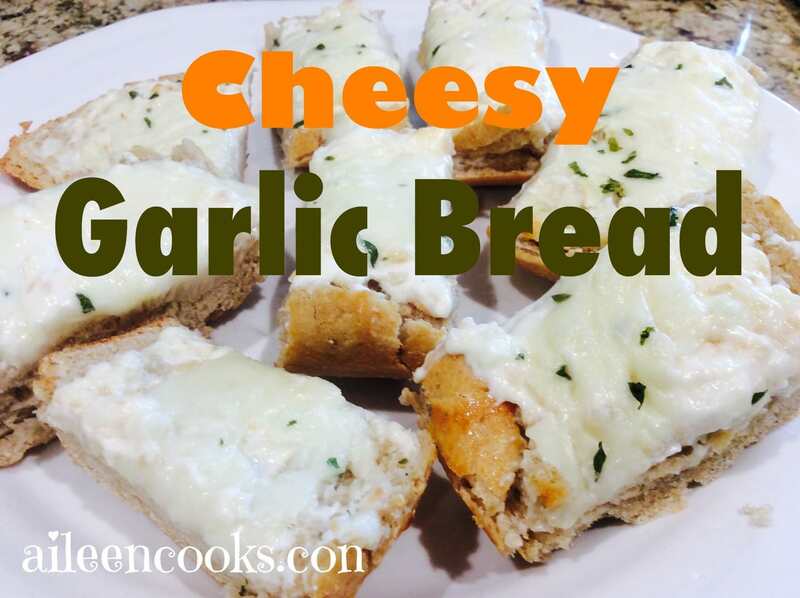 Super simple, delicious, cheesy garlic bread. Make it tonight and serve it with a big bowl of chicken noodle soup. 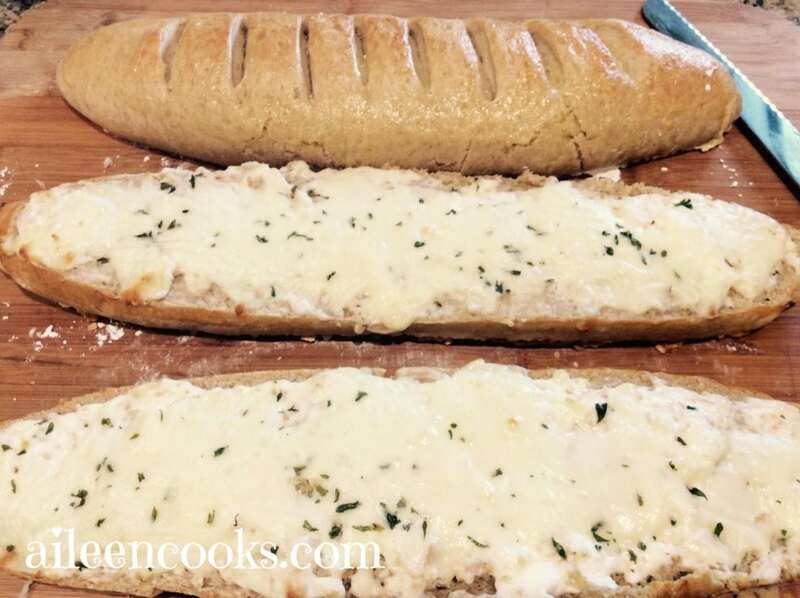 Take your garlic bread to the next level with this cheesy recipe. Slice french bread lengthwise in half. In a small bowl, mix together cream cheese and butter with a fork until combined and slightly fluffy. Mix in minced garlic. Spread cream cheese mixture evenly onto both slices of the french bread. Top cream cheese mixture with mozzarella cheese, followed by dried parsley and salt. Bake for 12-15 minutes, until the cheese is melted and the edges are crispy and golden brown. Stay tuned for recipes made from french bread in the coming weeks. Sign up for my mailing list so you don’t miss out on any of the fun.